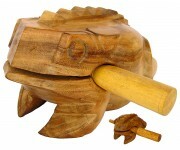 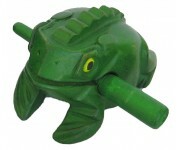 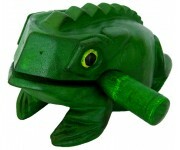 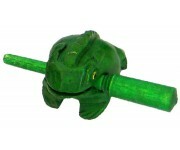 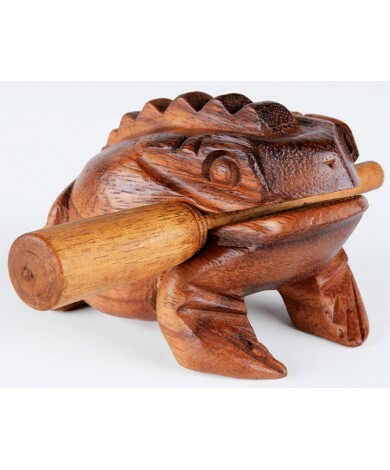 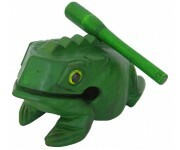 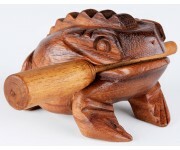 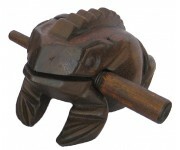 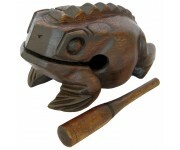 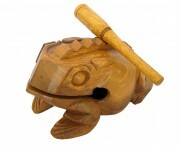 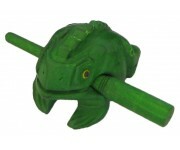 These handmade light brown wood musical croaking frogs - also called a frog rasp, singing frog, or percussion frog - come in six sizes. 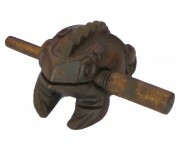 This one is our smallest (and cutest), a 1.5" long version. 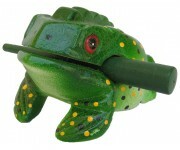 The dimensions of our little frog are 2.5"L x 1.5"W x 1.5"H. Stroke his back and listen to him croaking and sing ribbit like a real frog does. 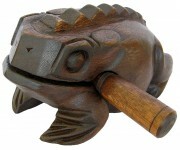 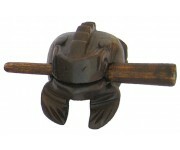 The light brown talking croaking frog is completely a hand-made carved wood masterpiece and the quality is the best there is. 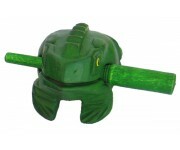 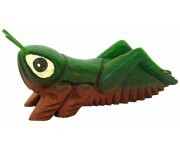 He is pocket-size and you can take him with you as a pet or good luck charm!